The European environment information and observation network (Eionet) is a partnership network of the EEA and its member and cooperating countries. The EEA is responsible for developing Eionet and coordinating its activities. To do so, the EEA works closely with national focal points (NFPs), which are typically based in national environment agencies or environment ministries. NFPs are responsible for coordinating national networks, involving many institutions. NFPs are responsible for coordinating networks of national reference centres (NRCs), bringing together experts from national institutions and other bodies involved in environmental information. • Shared infrastructure, standards and tools. The EEA currently has 33 member countries and six cooperating countries. The 33 member countries include the 28 European Union Member States together with Iceland, Liechtenstein, Norway, Switzerland and Turkey. 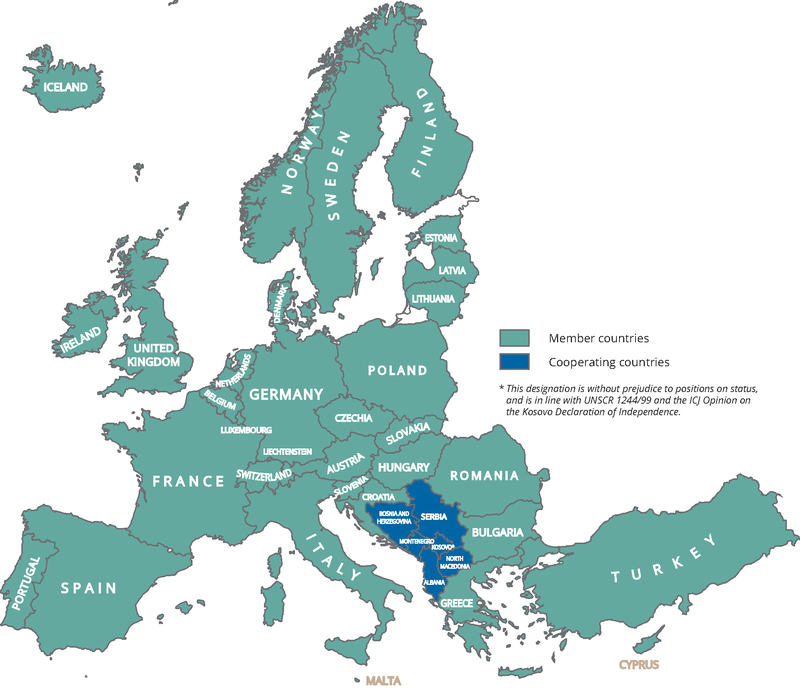 The six West Balkan countries are cooperating countries: Albania, Bosnia and Herzegovina, North Macedonia, Montenegro, Serbia as well as Kosovo [i]. The cooperation activities of these countries are integrated into Eionet and are supported by the European Union under the Instrument for Pre-Accession Assistance. The EEA also engages in international cooperation beyond its own member and cooperating countries. For references, please go to https://www.eea.europa.eu/about-us/countries-and-eionet/intro or scan the QR code.